Good morning! 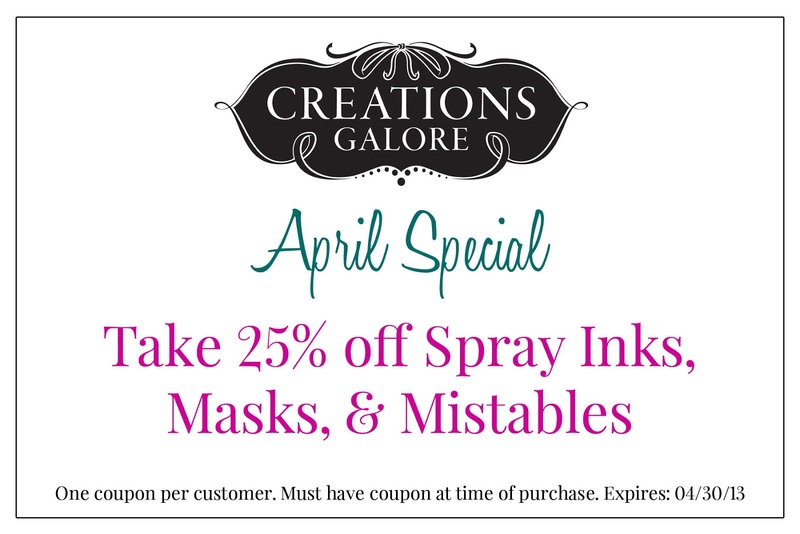 It's a new month which means a new special just for you. Click this link to easily print off your own coupon. Then stop into Creations Galore to take 25% off all Spray Inks, Masks, & Mistables.